Is this method(except for the chop saw), what would have been done 200 years ago? Definitely labor intensive, but I'm sure you, like me, have learned patience, and to just keep plugging away at it. 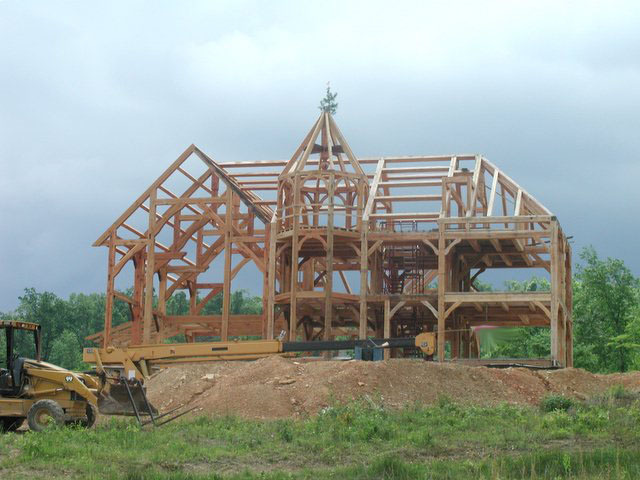 You know I discovered Timber Framing before I found your blog, but your blog was inspiring and your project a shining example. I discovered slate through your blog, and now I'll have to lean that was well. And now you're going to force me to learn to work stone! What's next Thomas Massie?! The keystones can be cut with a chisel... but wow... it's slower... and unfortunately easier to go backwards. If you want to try a little of everything... my advice would be build in small finish-able stages! I doubt I'll ever be done with this house. I really enjoyed your blog. I'm going to dig deeper into it. I am a Austin, Texas atty, way open minded but old school and conservative as well. I dig the fact you are a-in-the- establishment and building this labor-of-love house--with your hands. Old school with extraordinary refinement. Well played, Sir. just one concern: how are you going to get all these stone chips out of your yard?? Just wear a mask, gloves and hearing protecting! I can't help it, it's the ER nurse in me that needs all that stuff! Just to up date ya' headed to Cadiz, KY for the class with Scott from GrandOaks in Oct. Can't wait to get an edgimikashun! Haha. I'm just wondering where did you get all those stones, anyway? I commend your patience there. A DIY build your own home is a really personal project that requires strong perseverance. Are you also planning a DIY dream house for your daughter there? I'm sure she's gonna love it! I've built a small tree house for my kids too. The house on the hill looks lovely, even though it's not yet finished. The first thing that I noticed is the roof of the attic. I've seen the progress of the tower stones, and they look like a part of a castle. Why did you pause in building it?